Arcadia landed in London in a blaze of colour and lightning last night, ahead of their May Day Bank Holiday weekend spectacular as details of an Aboriginal collaboration were announced alongside a Hospitality takeover of the infamous Spider and the line up for the Bug Stage. The heavyweight festival collective tested signature elements from their award winning Metamorphosis show at Queen Elizabeth Olympic Park, marking the countdown to ignition in just over a fortnight. 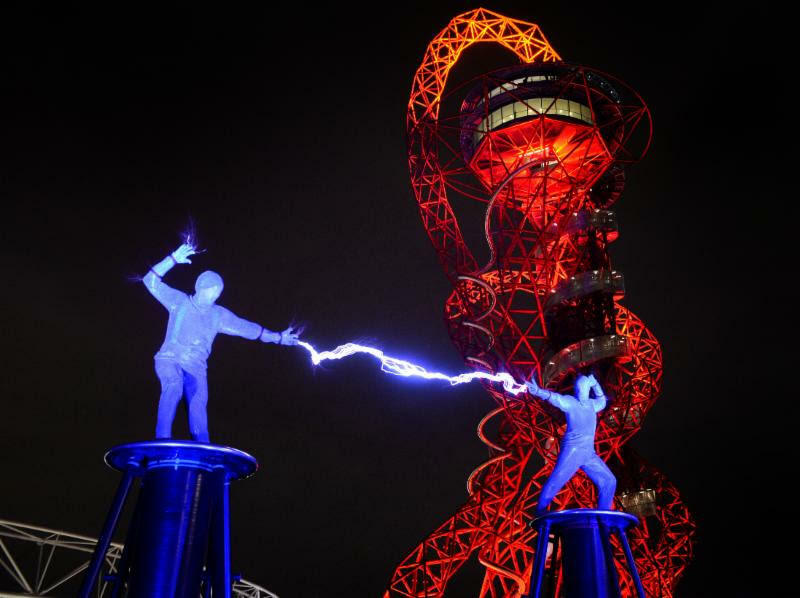 One of the otherworldly creatures from their acclaimed performances soared above the London skyline beside the ArcelorMittal Orbit, as the Lords of Lightning burst into a titanic electrical battle, harnessing 4 million volts into a mesmerizing display of white hot power. As Olympic Park began its transformation, Arcadia revealed that their collaboration with an Aboriginal tribe – the Wadjuk Noongar would be performed in London. 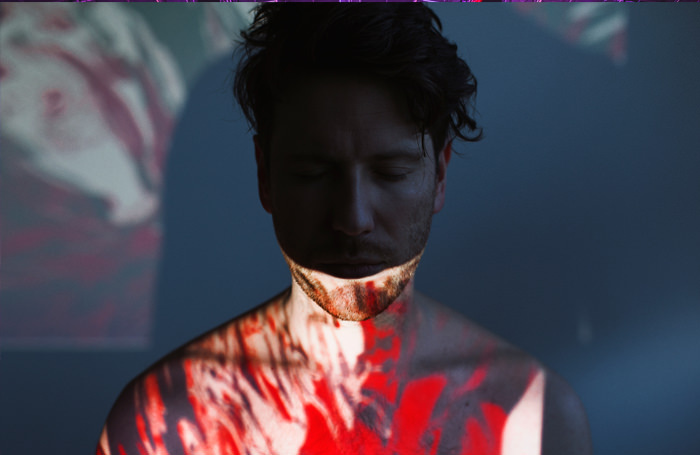 The Yallor Keeninyara sees one of the world’s most ancient ceremonies fused with Arcadia’ molten steel, flaming explosions and all enveloping bass. A profound story of connection, unity and worlds meeting – it is also a moment of pure primal celebration. 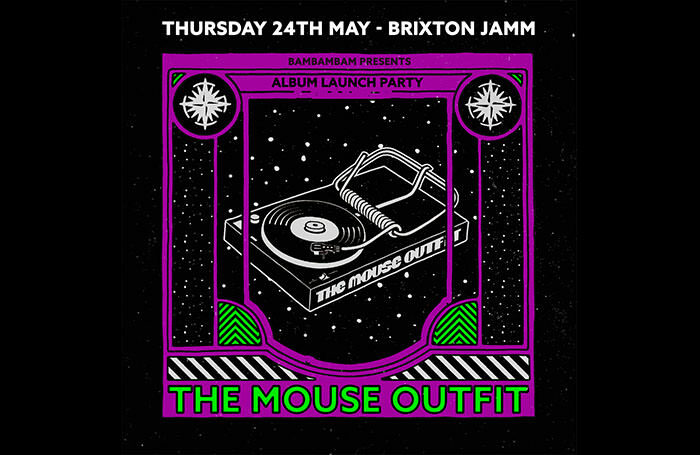 Hospitality are set to board the Spider in a surprise reveal, with originator Danny Byrd taking the controls alongside a back to back session with Whiney and Unglued as MC GQ brings the ruckus on the mic. Following the success of this year’s Hospitality at the Dock, the Hospitality crew will stomp into Queen Elizabeth Olympic Park to test their arsenal on the biggest beast in town. Arcadia’s mobile, amphibious Bug – the six wheel party machine announced a Saturday of sunshine house and feelgood classics with DJ’s including Tristan Ingram, Paul Johnson and the Too Damn Glam DJs while Sunday brings the sub bass fire with Stanton Warriors, Trojan Soundsystem, Chimpo, The Blast, Kruel Intentions and Rough Tempo Soundsystem. 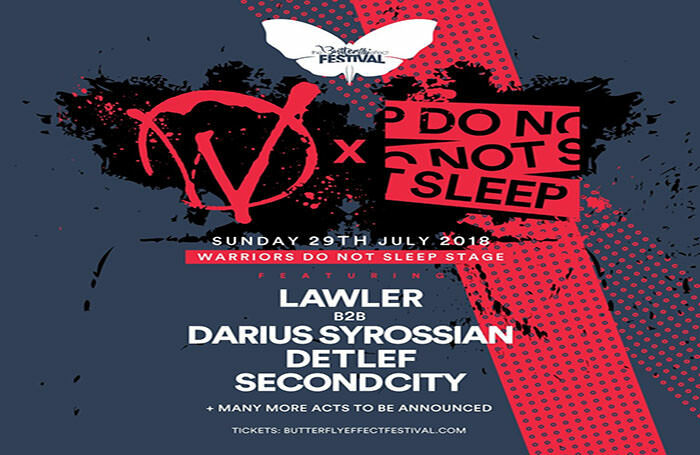 The two day event will see Queen Elizabeth Olympic Park transformed into a monumental landscape of robotic creatures, immersive theatre, high octane circus and slamming basslines. Celebrating their 10th anniversary, Arcadia’s 50 tonne mechanical Spider is headed to East London alongside a new indoor experience, the Reactor, a host of innovative sculptures, an Aboriginal song, and thousands of revellers dancing to some of the finest DJ’s and live musicians. Arcadia London - Yallor Keeninyara from Arcadia Spectacular on Vimeo.